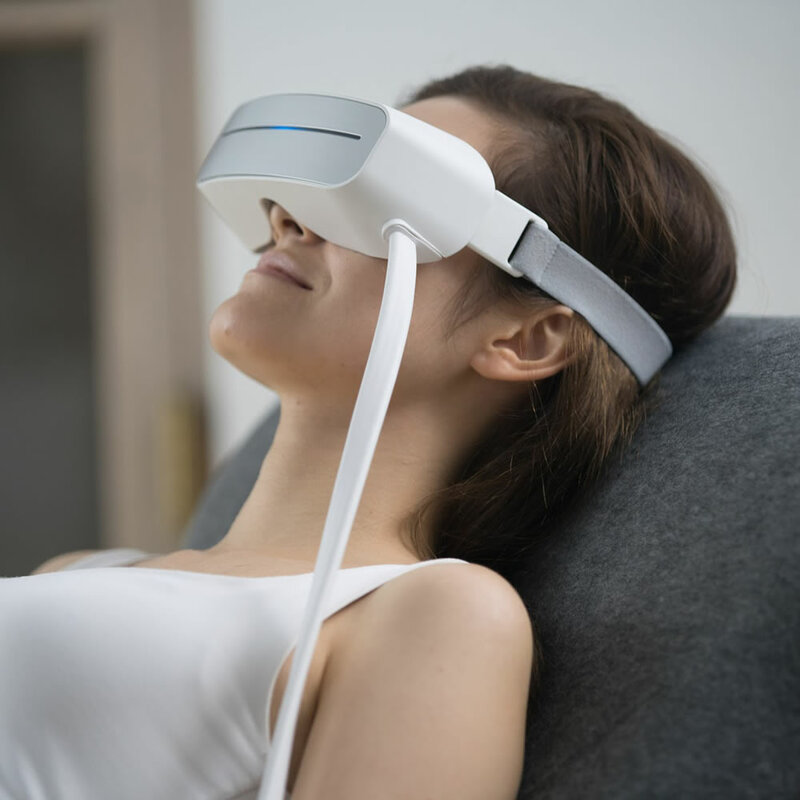 This is the eye massager that relies on water-based pressure therapy to stimulate circulation and reduce pressure and puffiness. At the touch of a button, the massager cycles between two temperature settings in less than two minutes. The warm setting improves blood flow to the eye area and the cool setting eases uncomfortable swelling. The massage option can be set to low or high for either temperature setting and automatically shuts off after six minutes. 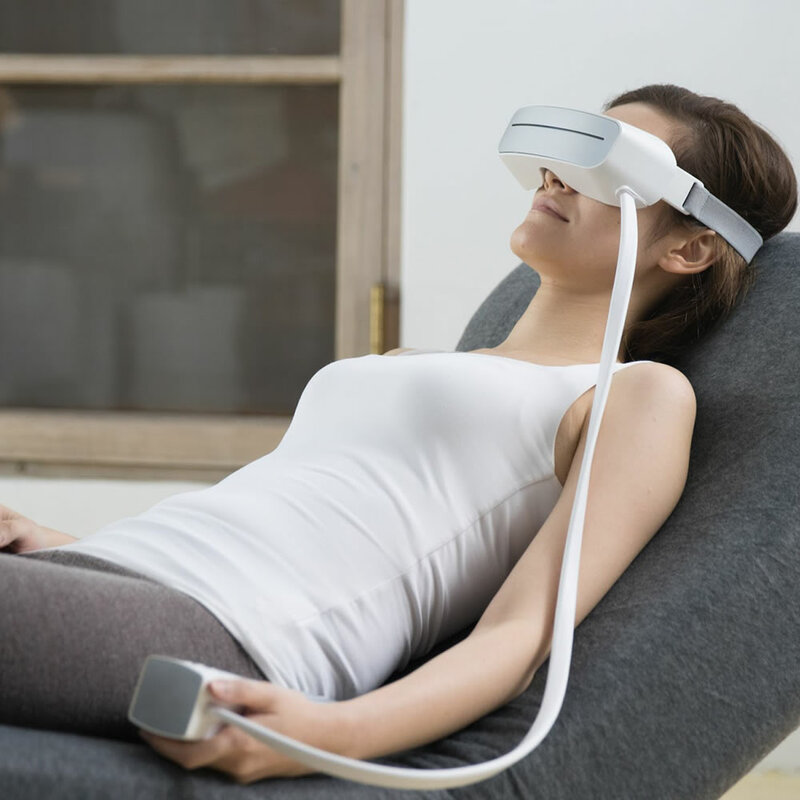 Panelists at The Hammacher Schlemmer Institute noted the comfortable fit and observed that the massager was “very relaxing” and also suitable for headache relief. Provides up to eight uses from a 1 1/2-hour charge. 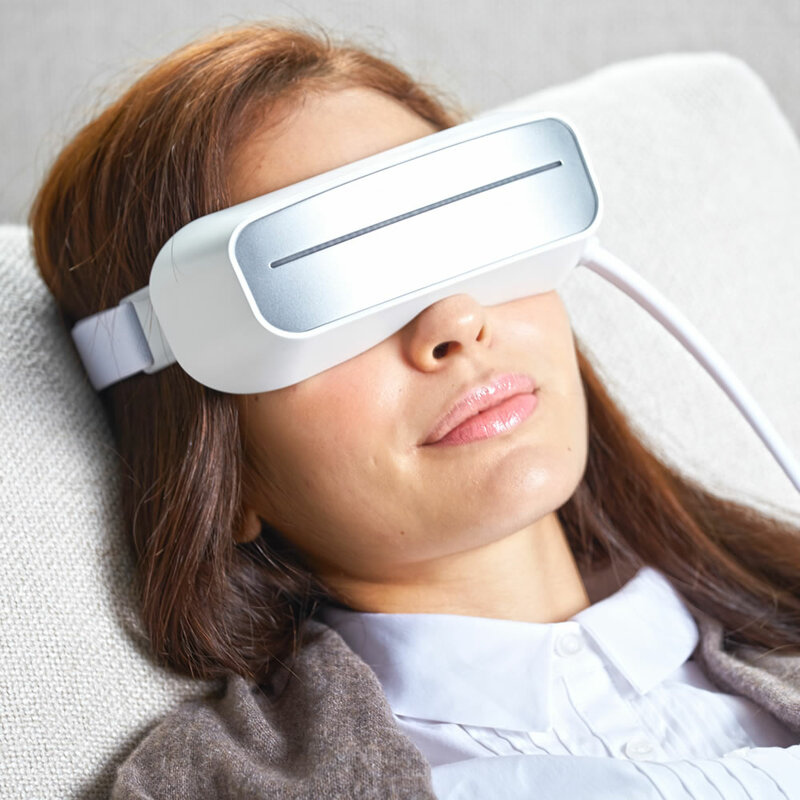 9" L x 9" W x 3 1/3" H.
The Gentle Wave Therapeutic Eye Massager comes with The Hammacher Schlemmer Lifetime Guarantee. Items that we sell are guaranteed for their normal life under standard non-commercial use.